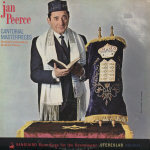 There can be few people who have an interest in Chazanut who don't know that Jan Peerce was also a famous opera singer. However, what many of them won't know is that Peerce was also a genuinely committed Jew. It is reported that he was exceedingly particular about putting on Tephillin every day and that he would not, in any circumstances, eat anything other than Kosher food. In his book about Chazanim and Chazanut, 'B'ron Yachad', Akivah Zimmerman relates how Rockerfeller once asked Jan Peerce to sing at a special performance for him, and in Peerce's honour, Rockerfeller indicated that he wanted to prepare a festive banquet. Since he didn't eat Treif, Peerce explained that he wouldn't be able to participate in the meal, as he made it his practice never to eat before a performance. "That's fine," said Rockerfeller, "we'll all eat afterwards." 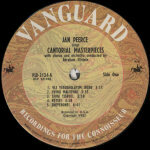 In order to extricate himself from the corner into which he'd got himself, Peerce said that after a performance he only drank tea, and always waited a long time before having a proper meal! 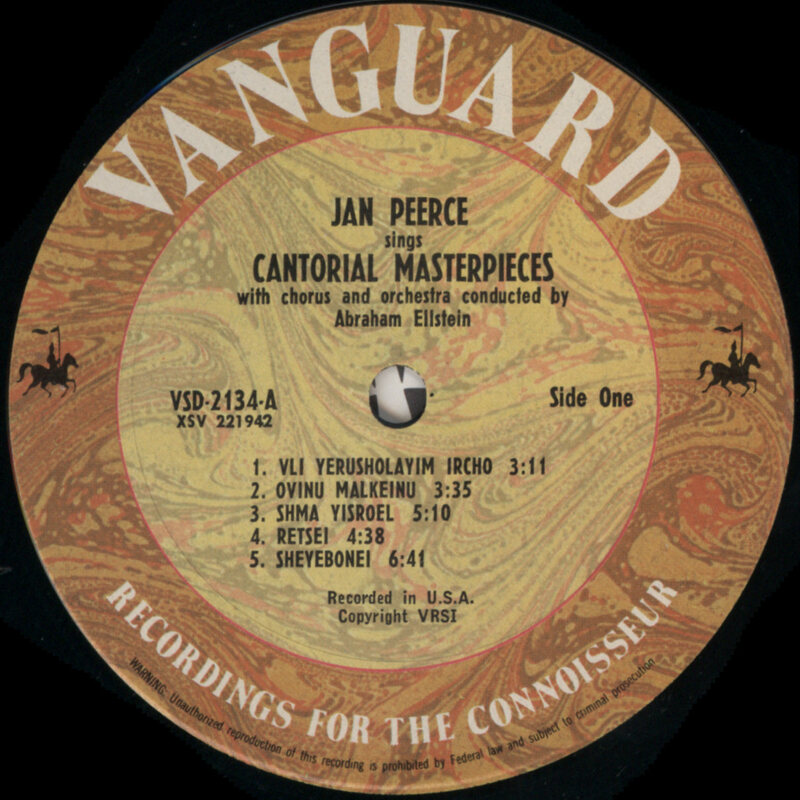 Jan Peerce was born on June 3, 1904 in New York and as a youngster he trained as a violinist. In the early part of his career, he played and sang in a danceband. 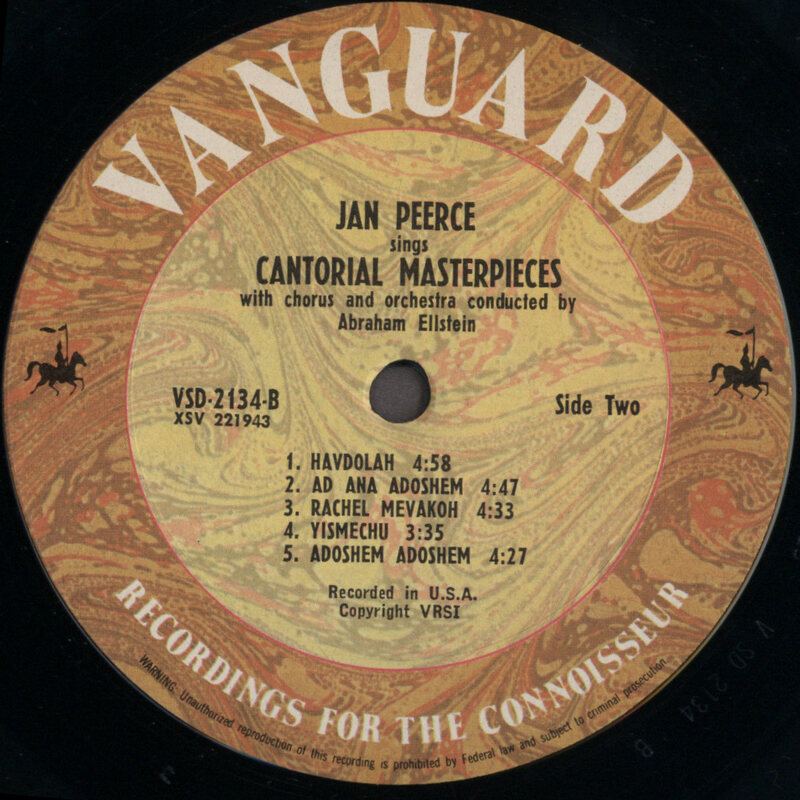 At the start of his performing career, Peerce used to play the violin. In order to 'pad it out' he started to sing popular songs and it was almost by accident that it was found that he had an unusually good voice. 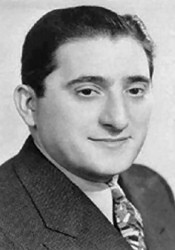 He was engaged to sing with the Radio City Music Hall company and, since they frequently appeared on the radio, he soon became a well-known performer of light classical songs and operatic arias. The famous conductor Arturo Toscanini heard him and decided to engage him to sing the lead in his recordings of opera and choral pieces. 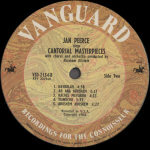 Jan Peerce made his formal debut in Philadelphia in 1938, and then with the Metropolitan Opera Company in New York, in 1941. Although he made countless appearances as guest Chazan in various Synagogues, he never held a regular post. Jan Peerce was widely regarded as a very fine operatic performer, but was certainly not snobbish when it came to music. In 1971 he made his Broadway debut as Tevye in Fiddler On The Roof! 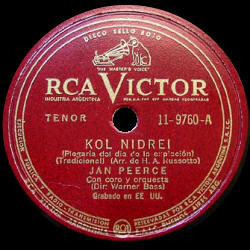 As far as his cantorial work was concerned, Peerce had a close working relationship with Abraham Ellstein, who was a very well-known composer and arranger of liturgical pieces and Yiddish music, particularly for the Yiddish operetta theatre. He made numerous visits to Israel. 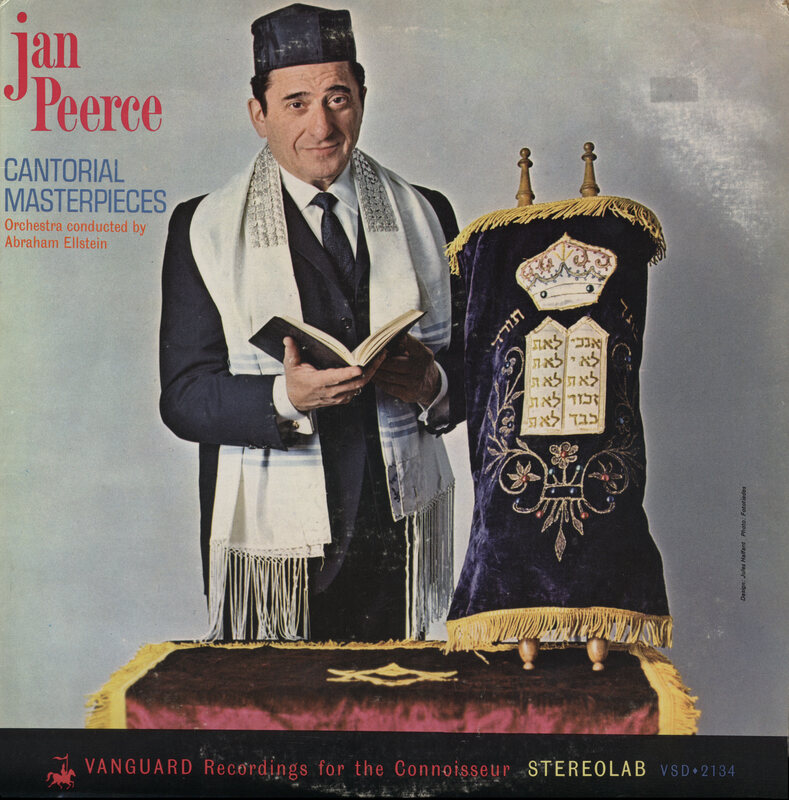 In Chazzanic circles Jan Peerce was welcomed as a Chazan, and in the world of opera, as one of the finest tenors of modern times. 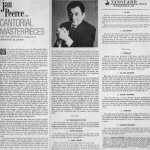 Jan Peerce died in New York on December 15, 1984.